designed by architect Wilson Fuqua, with interiors by Theresa Rowe. love the contrast in this kitchen. 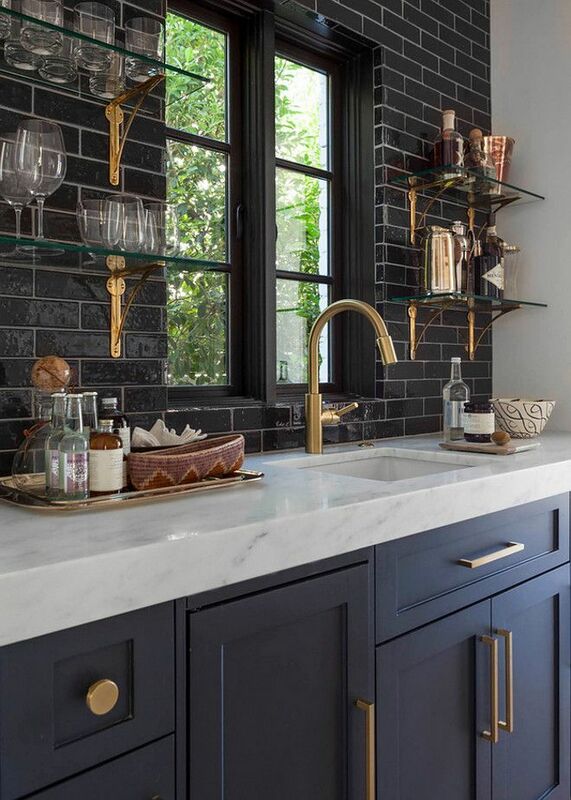 white grout keeps the black tile from overpowering and the gold accents really make the space pop. This entry was posted in Home Interiors on September 29, 2016 by admin.